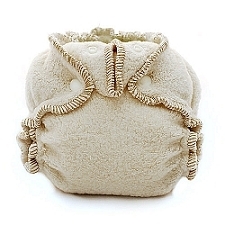 Fantastically soft, beautiful and super absorbent too! 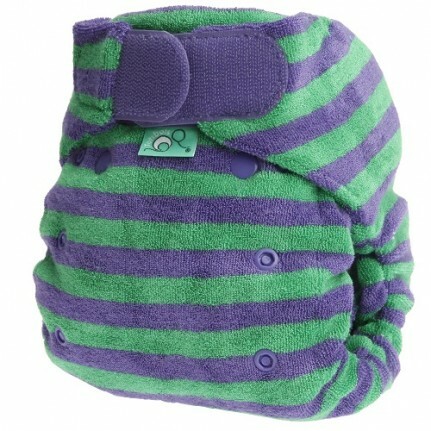 The ultimate in comfort and fit for your baby - the super soft BAMBOOZLE is made from gorgeous s-t-r-e-t-c-h-y rayon from bamboo. 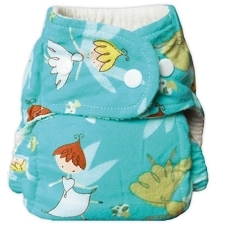 Two sizes will take you from teeny-tiny (5 lbs) right through to potty training (35 lbs). 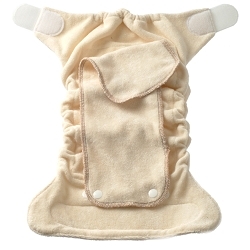 Aplix fastening (like Velcro) - just as easy as a disposable diaper! 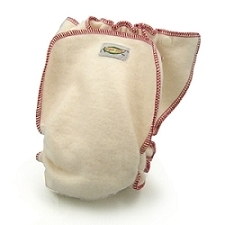 Hidden microfiber core and snap-in adjustable doubler increase absorbency and speed up drying time! Bamboo is miraculous and eco-friendly - a renewable resource with a very short growth cycle, it is grown without fertilizers or pesticides. 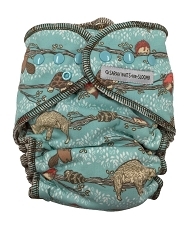 A great environmental choice for diapers - the Bamboozle's fabric is also super absorent. Tests have shown that rayon from bamboo absorbs moisture 70% more quickly than cotton (on contact), and dries 20% faster. 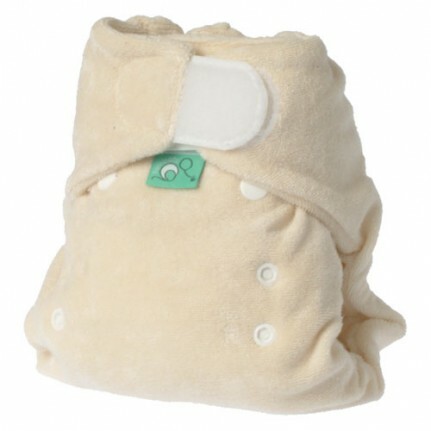 In short, the BAMBOOZLE absorbs quickly and effectively, is comfortable for baby and not bulky under clothes! 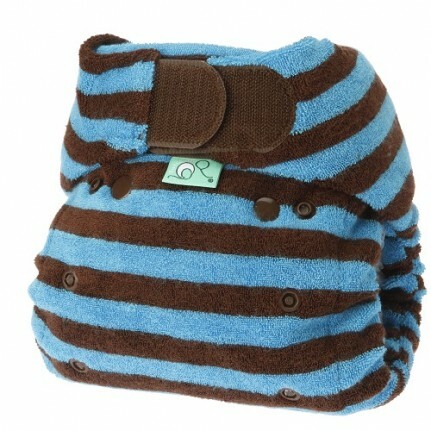 The STRETCH BAMBOOZLE diaper will pair up well with the Super Lite, Super Whisper Wrap, Super Brite or Super Snap. 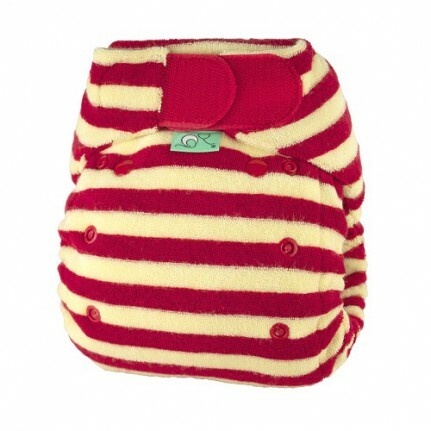 The Bamboozle will reach full absorbency after 10 washes, although it can be used after about 2 washes. Wash in hot water and dry in the dryer. 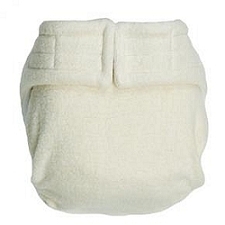 Line drying will extend the life of this diaper. The Bamboozle is made by our friends at Tots Bots in Scotland. Their products are top rated in the UK, and we are excited to be distributing them here – their team is dynamic and ethically minded, and makes a good fit with our own. Tots Bots products are Oeko-Tex certified – which means they have passed stringent European standards for non-toxicity. 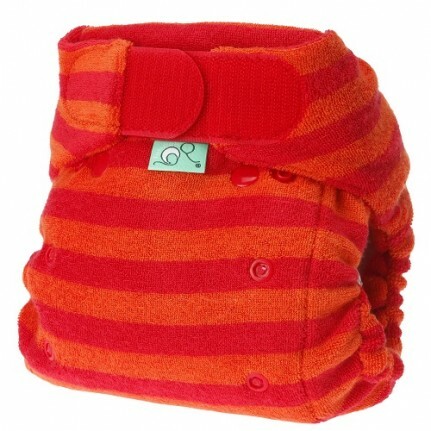 Tots Bots products made with rayon from bamboo will reach their full absorption capacity after 10 washes. However, you can use them successfully after 3 washes. 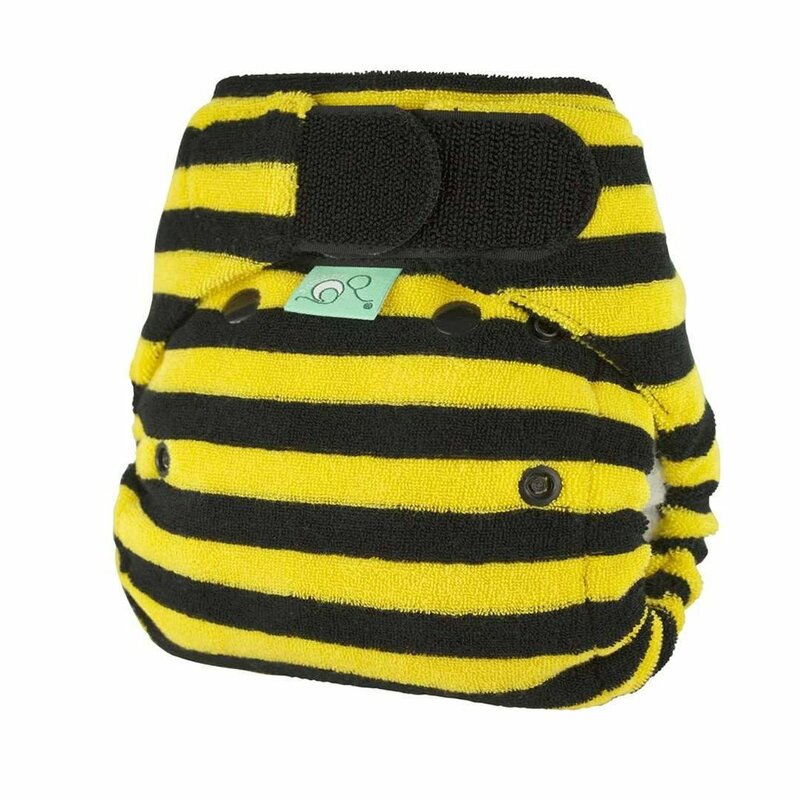 The Easy Fit and Tini Fit liner will normally agitate out in the wash.
Use foldback velcro tabs to secure fasteners on Easy Fits and Tini Fits to protect your diapers from rogue velcro attacks! 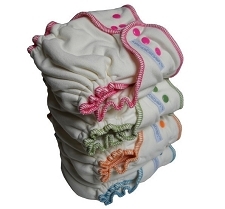 Wash as you would any other cloth diaper, being sure to check product label before washing. 60 degrees centigrade wash, tumble dry low heat or hang to dry.